At The Wesbrooke Seniors Living Community, our home is your home and we want to make sure that you enjoy your time here. We make a point to plan ongoing events that allow you to socialize, be active, and have a great time. 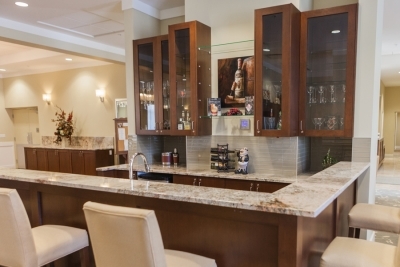 Every day here is something new and every aspect of our Pitt Meadows retirement home is planned around your enjoyment. Each member of our community can utilize our new Pitt Meadows Senior Centre as a complimentary amenity. Whether you’re looking for a home for you or your loved one, we’re a team of caring professionals focused on making your retirement living experience great. There’s nothing quite like The Wesbrooke experience and our caring, dedicated staff would be happy to assist you. For a free consultation, contact our office at (604) 460-7006.